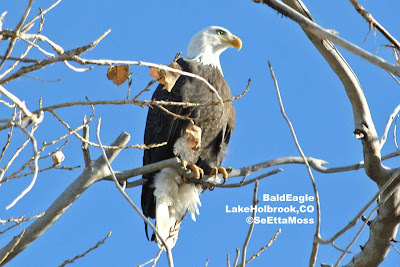 Today I birded in the La Junta, Colo area and found two adult Bald Eagles perched near Lake Holbrook. These pics are of one of those eagles. I was delighted to get these pics without disturbing the eagles. 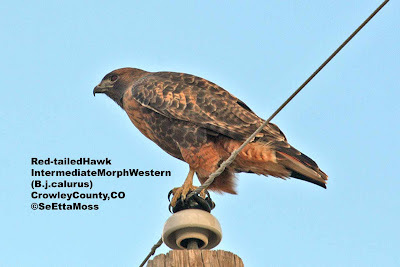 It doesn't take a skillful bird photographer to flush birds when photographing them, it does take skill to get good pics without disturbing birds.